Devices, software, cookware, and other life-enhancing "finds" recommended by members of HBL, Harry Binswanger's membership site for Objectivists. I’m a dedicated do-it-yourselfer who loves to do major projects around my home. In the old days I found out how to do things by getting books and watching demonstrations at the wallpaper store or Home Depot. Unfortunately, a book isn’t as useful as a live demo is, and live demos were not always scheduled at a convenient time. Now, thanks to YouTube, I can have several experts show me how to do my project. Three years ago I bought my current home. It was a major fixer-upper with great potential. 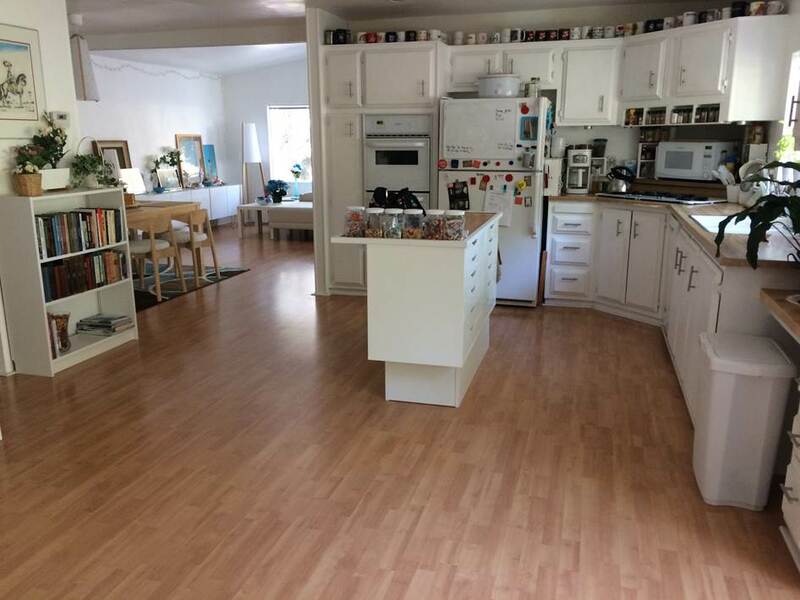 I saved thousands of dollars – and had a lot of fun – laying a beautiful birch laminate floor. I had never laid a floor before, so I checked YouTube. There were dozens of videos showing how to do it, what mistakes to avoid, how to solve common problems, and tips and tricks for doing the harder parts of the job. Just recently, I redid my bathroom and everything looked great except for my new sink faucets. I loved the shape and function of the white waterfall faucets, but the ones I wanted only came with shiny chrome trim. I bought them, but then regretted it. Once they were installed, the chrome looked out of place with the brushed nickel finish of the bathtub faucets and the cabinet hardware. What could I do? 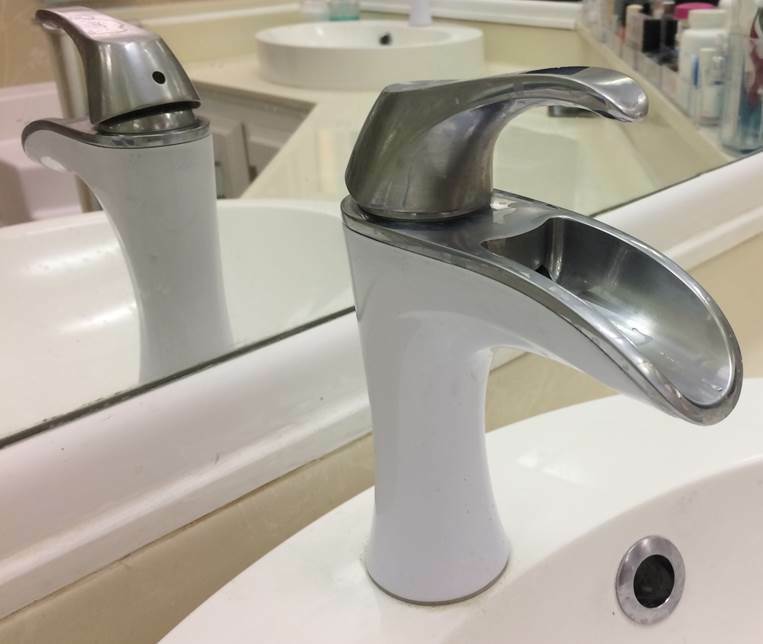 I went to YouTube and searched for “change chrome to brushed nickel.” I found a half dozen videos showing how to use green Scotchbrite scouring pads, WD-40, and a little elbow grease to make my new faucets look just right. 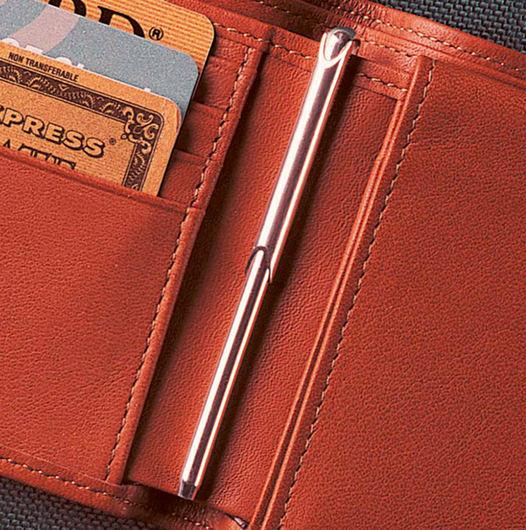 I think it's a must have if you carry a wallet. I've had one for over 5 years and they are a great life saver when you need something inked. It also comes with a replacement cartridge, which I've never had to use. HB added: It's expensive, but cheaper small pens, including key chain pens, are on Amazon. RS replied:The quality and durability of this product is built into the price. As a consumer I want to minimize my purchases for particular products and a wallet pen in one of them. We ordered two 3.75-pound bags (about a year's supply for us), and haven't pre-cleaned coffee or tea cups since then, and they still come out perfectly clean. These bags come with a measuring cup so you know just how much to use. It is great to have a dishwasher that works again. And this detergent also keeps the inside of the dishwasher very clean. My husband Jim did a lot of web research on robotic vacuum cleaners and finally decided to buy a Neato. We received it about a month ago and love it. It works very well on the thick carpet in our living/dining room and we have a long-haired cat who likes to lie in the sun on that carpet so that says a lot. It also works on our hard-surface floors. Unlike the Roomba, the Neato is D-shaped so it can get into corners. It also is "smart" in that after you turn it on and before it starts moving, it rotates around and "maps" the room, and then vacuums in a regular pattern that will cover the room without going over some areas repeatedly. The Neato can be programmed to run automatically on a set schedule, but we like to move some chairs and a few other lightweight items before running it so that it can map the area more effectively. Because of that we just run it on demand. The dirt receptacle does need to be emptied when it finishes a room, but it handles our approximately 13' x 24' living/dining area without having to empty that receptacle during the process. We are really pleased with this product. Now, if somebody would just invent a robotic duster! I don't mind cleaning bathrooms and mopping hard floors, but I truly hate dusting. Unfortunately, I think it will be a long time before anyone can invent a robot for that purpose. 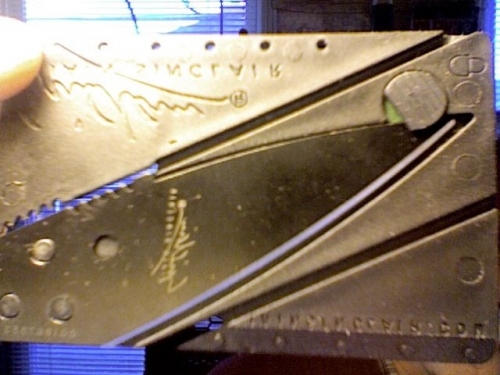 I have a "credit card" knife. It fits in a wallet, swings open and locks closed and open. They're thin, very convenient, sharp, fold-locks, low-priced and all over the net. Mine came from China in a very small envelope. I hope this doesn't put me on a Trump watch list of American job-destroyers. Federal building guards gruffly require me to take it off the grounds before genuflecting before their Holinesses. Another justification for nuking Iran and Saudi Arabia. Some "credit card" devices have many different tools. One has an LED but I have a very small, flashlight bought at a dollar store. It gets lost amidst the coins in my pants pocket. It's very handy for seeing the many things throughout one's day that are in dark situations or for seeing small print. I also have a $2 telescoping magnet, bought at a local discount store, that lifts eight pounds. There are a surprising number and variety of such small, handy tools. Heidegger, with his "ready-to-hand" category, might have approved, maybe . . . The comic strip, "Dilbert," recently satirized this with a phone charger/coffee warmer. But is it a satire or the very next thing? This is such a simple idea I don't know why everyone doesn't use it. 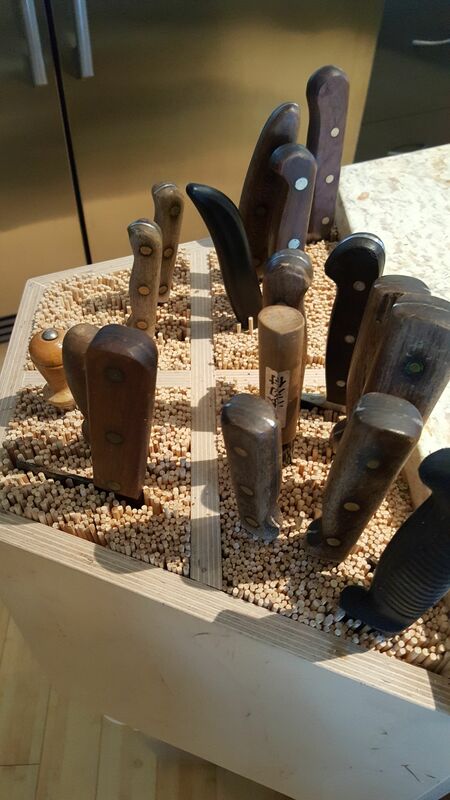 Instead of specific sized slots for knives, this allows you to put any size knife anywhere in the block. 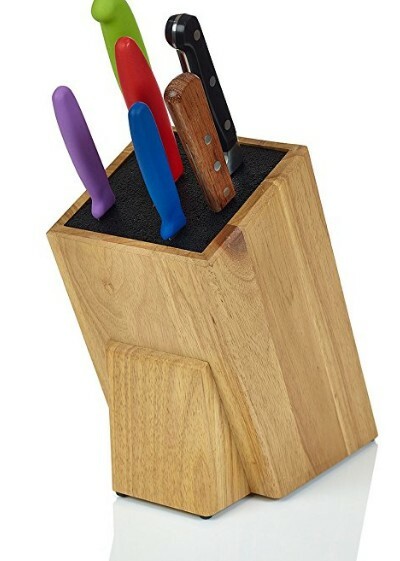 So if you get a new knife-you have a place for it. I think I have seen something similar on Etsy, just a regular block filled with bamboo skewers that sits on a counter. I think ours is better because it sits at the level of the counter so clumsy people (me) can't knock it over. One important thing: be sure to make the depth a smidge over 12" and use 12" skewers. Otherwise longer knives will sit dangerously above the surface. If I hadn’t been driving through rural New Hampshire with my wife and kids at the time of yesterday’s MOTM ["Meeting of the Minds," a Sunday teleconference on HBL], I would have called in and shared my latest treasured discovery: the silent mouse. In short, it is a regular wireless computer mouse that has been designed so that the mouse click is practically inaudible. It’s not totally silent, but it’s awfully close. Instead of a loud and annoying “click,” there’s a quiet and very dampened “thud” (if you can even call it that). And, you still push a button, so you don’t lose any of the haptic feedback. It’s been a total inventor-send. I’ll probably end up getting one for my work computer, too. I live near a city center, but my find is effective against every noise that ever kept me from concentration or sleep: silicone earplugs. They are widely available (I buy mine at CVS Pharmacy) and cheap and do the job perfectly. I never work, sleep, or travel without them. For information about Magic Keyboard, this site has lots of good info. But you can always Google “Magic Keyboard” if there is an issue not addressed at this site. For decades I paid dermatologists in a futile attempt to eradicate very irritating dermatitis around my eyes, ears, back, etc. Their only recommendation was hydrocortisone creams. However, I finally solved this long-term medical problem by installing a whole-house water filtration system that removes chlorine, chloramines, lead, ammonia, and sediments. Total equipment and labor installed cost was about $2,000. An additional benefit is that clothes we wash will be free of these irritating chemicals. I am told that these clothes will be “softer,” but have no proof of that claim yet. The manufacturer is Ecowater Systems LLC of St. Paul, Minnesota. The unit’s name is: “Chloramine & Chlorine Central Water Filtration System.” The Model # is ETF2300ECCWS. The local water technology dealer can do a full water analysis on your water in order to make sure you remove all the contaminants in your particular water supply. Different Ecowater Systems units remove iron, soften mineral-laden water, and use UV irradiation to kill bacteria. I am a fan of Infrared electric saunas as opposed to steam saunas. Infrared saunas help the body produce more human growth hormone (HGH) than steam saunas, since the heat penetrates the body more efficiently and evenly. HGH helps to promote muscle tone, a healthful weight, and energy levels. Also, an infrared sauna is cheaper to run than a steam sauna: electricity versus steam. The most accessible model is the Radiant Infrared Sauna on Amazon that goes for under $200. This is the one I have. While the under-$200 model is made out of tightly knit fabric with an opening for your head and hands to read a book, there are models for over $1,000 that are made of wood and look like the sauna in the gym. Modification: I threw out the seat that came with my $180 model because it is made for petite Asian women and was tolerably painful on my hip bones. I’m going to buy a teak stool for more comfort. Another product I like is the dry skin brush. Brushing your skin when dry (towards your heart) stimulates the lymphatic system of your body to remove waste. It feels really good before an infrared sauna soak and a hot, dechlorinated shower. Be prepared to feel rejuvenated. Tips: You will literally find dead skin on the bottom of the sauna if you do skin brushing, so vinegar and a towel are important. Try to avoid reading a rare book or using your cellphone unless you place a TV stand with a towel within reach to keep sweaty palms at bay and to have a surface to put items down for more relaxing moments. You won’t be able to bend down to pick up things that fall on the floor without unzipping the unit and letting all the heat out. Harry during Sunday’s MOTM session extolled AutoHotKey as a highly-useful accessory program for Windows computers. (He previously recommended the program in an HBL post devoted to AutoHotKey several years ago.) I don’t disagree with Harry’s high regard for the substantial numbers of uses to which AutoHotKey can be put, but I object to his statement that all other such programs are horrible. I found KeyText to have an easier learning-curve, and also applaud KeyText for having the ability to simulate a mouse click at a specified screen x-axis/y-axis location; I am not aware of any feature within AutoHotKey that can achieve this, and without it one cannot write a macro to set into motion the results of clicking a particular point on the screen where the program being manipulated was devised for at least one feature to be activated only by mouse-clicking a button. In some such circumstances, I determined that the program I sought to manipulate didn’t have provisions for keystrokes to be used as alternative means of achieving the same consequences. Most programs I’ve attempted to manipulate can perform the steps I want using a succession of keystrokes, so AutoHotKey has served me well. I found KeyText to have an easier learning-curve, and also applaud KeyText for having the ability to simulate a mouse click at a specified screen x-axis/y-axis location; I am not aware of any feature within AutoHotKey which can achieve this . . .
where x and y refer to the horizontal and vertical coordinates. You can also specify either absolute x and y, or x and y relative to the open window. This is a small part of an AHK script I have made. It changes Windows’ clipboard into a super-clipboard, which saves everything ever copied to the clipboard to a text file, and saves a stack, 5-levels deep, of the last 5 items copied to the clipboard (for quick pasting of the 5 most recently copied items).